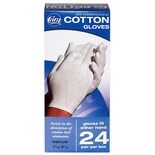 Gloves are effective at reducing the amount of bacteria transferred between your skin and the things you touch, which means you should always have some white cotton gloves handy for kitchen and bathroom tasks. 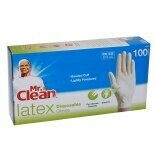 White cotton service gloves are especially good for use with skin products. They are able to absorb skin creams well and are hypoallergenic. 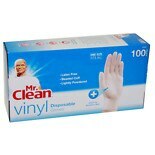 Disposable white cotton gloves are even better; just throw them away once you are finished using them. 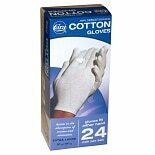 Cotton glove liners are perfect for use with disposable gloves. 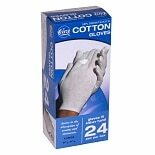 Cotton liners add an additional layer of protection to the powdery feel of latex gloves, protecting your skin from harsh irritants and cold weather. 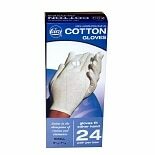 Cotton glove inserts add a separate layer between the hands and gloves, which protects you from dermatitis and other skin conditions while absorbing perspiration. 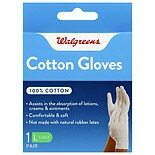 EPA recommendations suggest wearing cotton glove inserts for no more than 10 hours at a time.